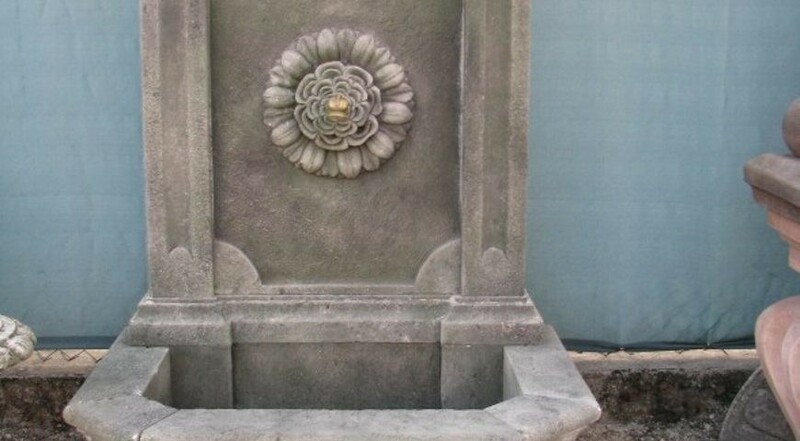 A typical carved stone wall fountain in rustic Italian style. A simple coping, carved in 3 different pieces. The back have carved a timpano design and two semi columns with Corinthian capitals with leaves designed by our sculptors. Dimensions: Height 72" x Width 50 1/2" x Depth 35 1/2" - Coping Height 19 1/2"